Colonial Beach at night looks spectacular with the lights and decorations from all the local businesses and attractions shining brightly. You know the old saying, pictures just don't do it justice. That's true in this case as well. To really see it, you've got to come visit and actually be here and experience the nighttime sights and sounds in this town. The Volunteer Fire Department building looks so great after dark with the gold lettering on a white background, but it's been difficult for me to capture a decent picture of it. I'll keep trying though! In the meantime, please enjoy these shots of places in Colonial Beach at night. 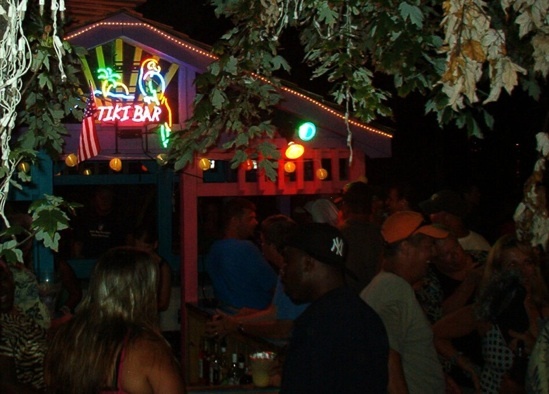 This is the tiki bar at the Dockside Restaurant & Blue Heron Pub. There's great outdoor space here with plenty of tables, benches and dancing room in front of the stage. During the winter months and in inclement weather, the party moves indoors to the pub and "porch" area. Awhile back this building was known as The Landing, then it was The Happy Clam after the other location was destroyed by Hurricane Isabel. 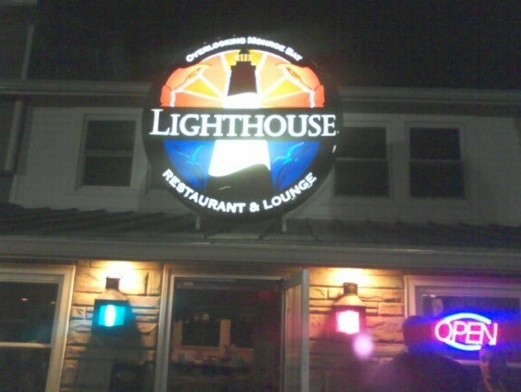 These days it's The Lighthouse Restaurant & Lounge. Great Thai and French food! 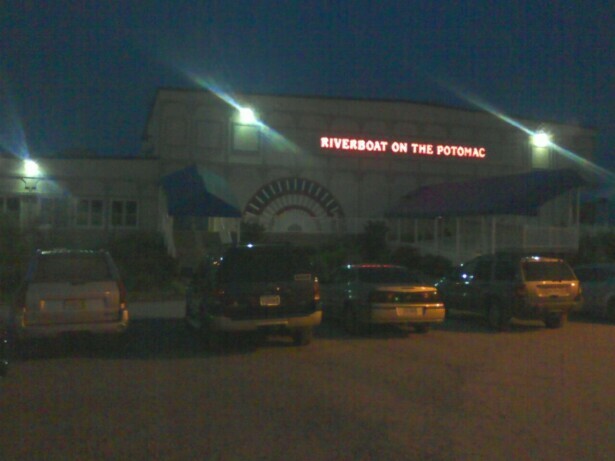 Front view and roadside sign at the Riverboat on the Potomac. It's got a bar, restaurant, onsite liquor store, off-track-betting and more! 301 Beach Terrace. 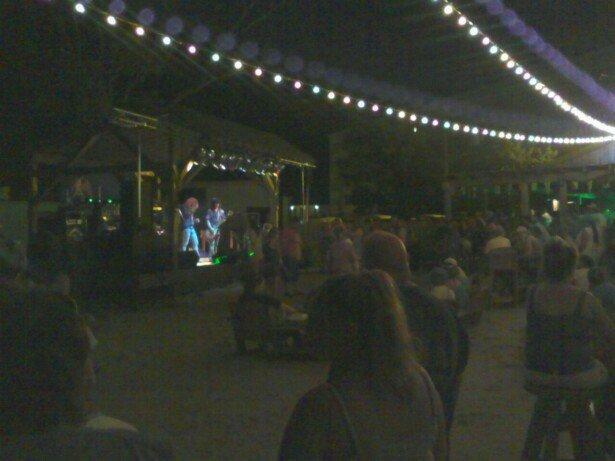 Led Zeppelin tribute band, Kashmir rocks out at High Tides' "Black Pearl" tiki bar. 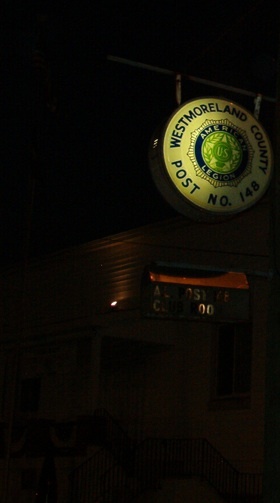 27 Colonial Avenue is the location of the local American Legion post. There are various events held here throughout the year. I've been to a vendor sale event here, there was a good turnout. 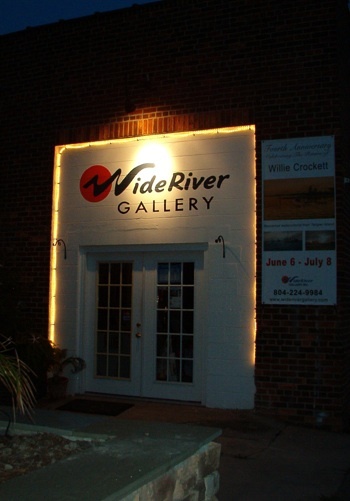 Here's the entrance to the former Wide River art gallery, one of the art galleries in town. They've held dance lessons, too. Currently the building houses a shop called Attica. 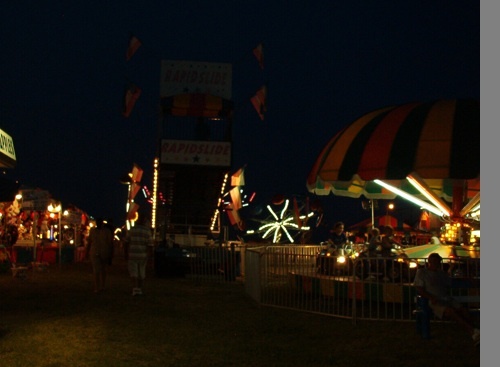 The Carnival comes to town on the Wednesday before the weekend of the big Potomac River Festival. It's fun during the day, and at night it looks so gorgeous all brightly lit up. Like spicy Thai Food? How about French? Great! 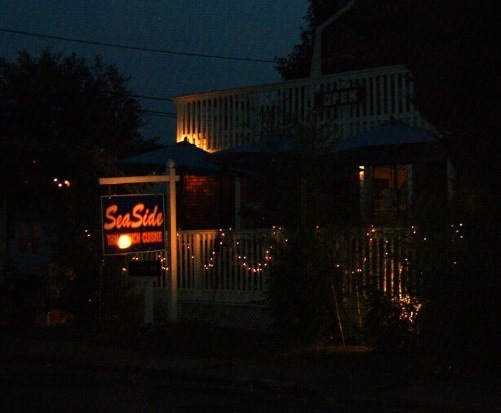 That's what Sea-Side serves. Try the pad thai! It's my favorite. They are across from Nancy's Ice Cream at 201 Wilder Ave.